High Value Home Services, LLC is proud to serve Customers in Charleston, Mt. Pleasant, Goose Creek, Folly Beach, Summerville, and surrounding areas. Having a home inspected is a very sound decision and we’re glad you are considering us! Whether you are buying a home or getting ready to sell a home, the information found during a home inspection can save you much more than the cost of the inspection itself by giving you the information you need to make timely decisions. How do you decide on which company to use? High Value Home Services, LLC is focused on you, the Customer. We understand the importance of the information we give you. Our personal experience of buying and selling homes, tons of technical training, a lifelong passion for residential building, and over 25 years of experience in providing building services that exceeded Customer expectations will provide the information you need when you need it. We would be honored to work with you! 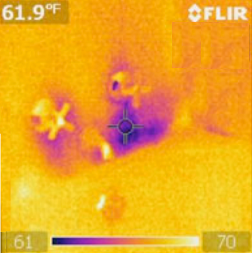 Thermal imaging is a technology that allows High Value Home Services to uncover things about your home that may go undetected by typical inspection methods. Considering a home inspection in the Tri-County area? Copyright © 2016 High Value Home Services, LLC"